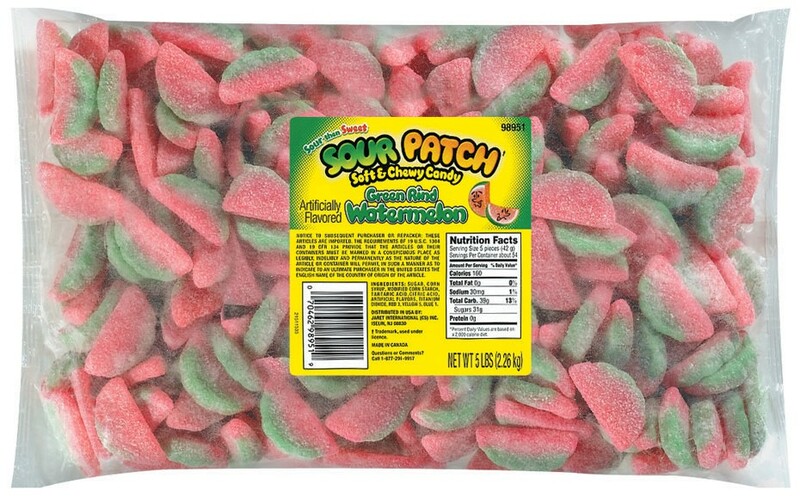 Sour Patch Green Rind Watermelon from Mondelez, the soft and chewy watermelon flavored candy that's sour and then sweet. 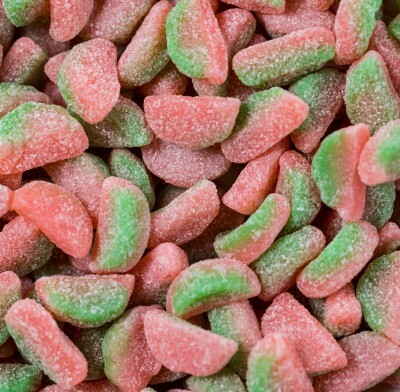 These sugar coated classic candies are shaped and colored like watermelon slices. Delightful!